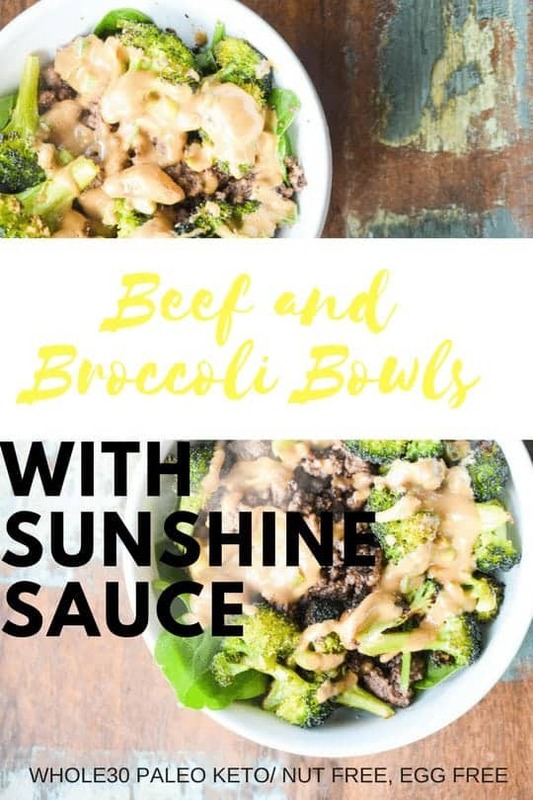 I made these Beef and Broccoli Bowls with Sunshine Sauce on Stories and oh boy! The enthusiam was there! So here they are. If your IG doesn’t display the circles on the profiles, these you probably need to update your app, those circles are the highlights from Stories, and they don’t expire. So me and many other IG folks use them to bookmark important info, or delicious recipes, like this one. 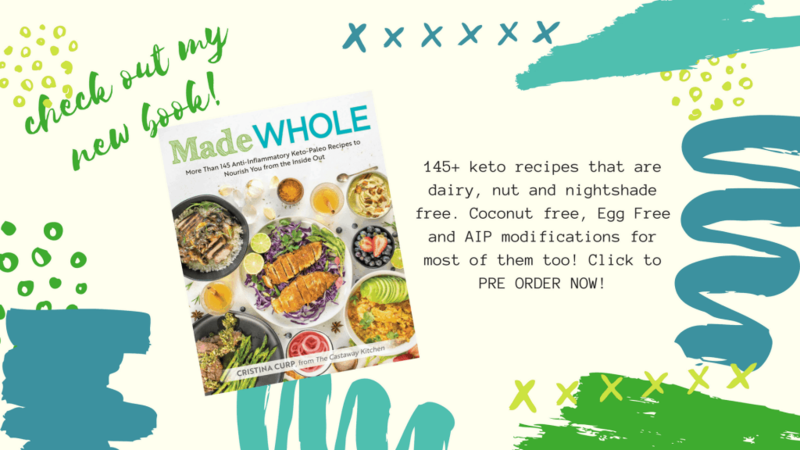 I often have highlights titled: WOD, NEW RECIPES, AIP, KETO or Whole30. Anyway, you folks went crazy for this amazing Whole30 Beef and Broccoli, and rightfully so, it’s bombdotcom. 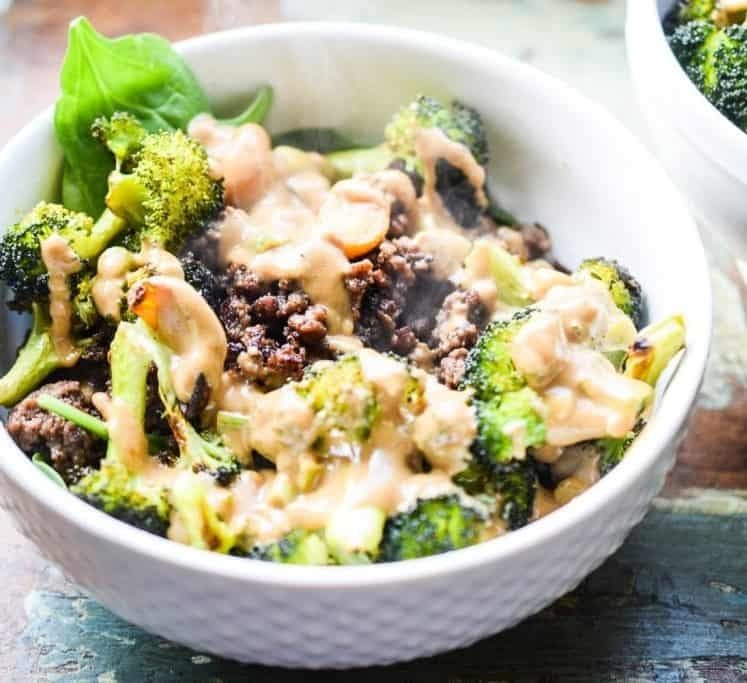 I mean a low carb, protein-packed, bowl with crispy broccoli and amazing sauce, what’s not to love? I didn’t really know Sunshine Sauce was a thing, but I guess that’s what I made. I’m just cool like that (not). Thanks to those who messaged me to identify this addicting nutty sauce. 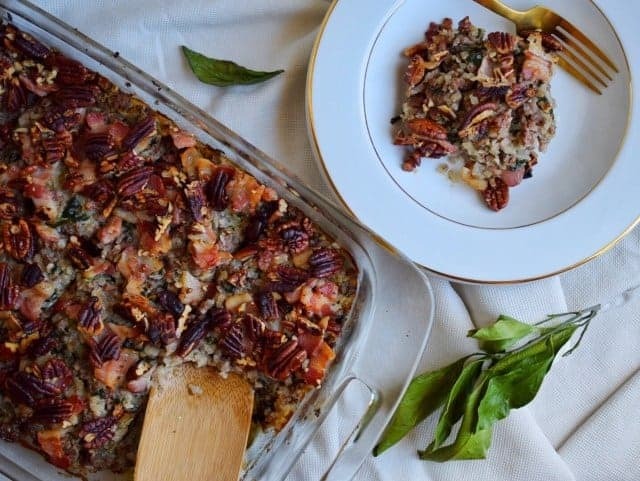 I looked up a few renditions of the recipe and it’s pretty darn close, but I like that mine uses bone broth instead of coconut milk, and also the addition of green onions because if it were up to me all food would be served with piles of roasted garlic and fresh green onion on top…. no? Just me? Okay then. Not all sunflower seed butters are created equal folks. Here are a few brands that I like, which don’t have sugar or added crap. 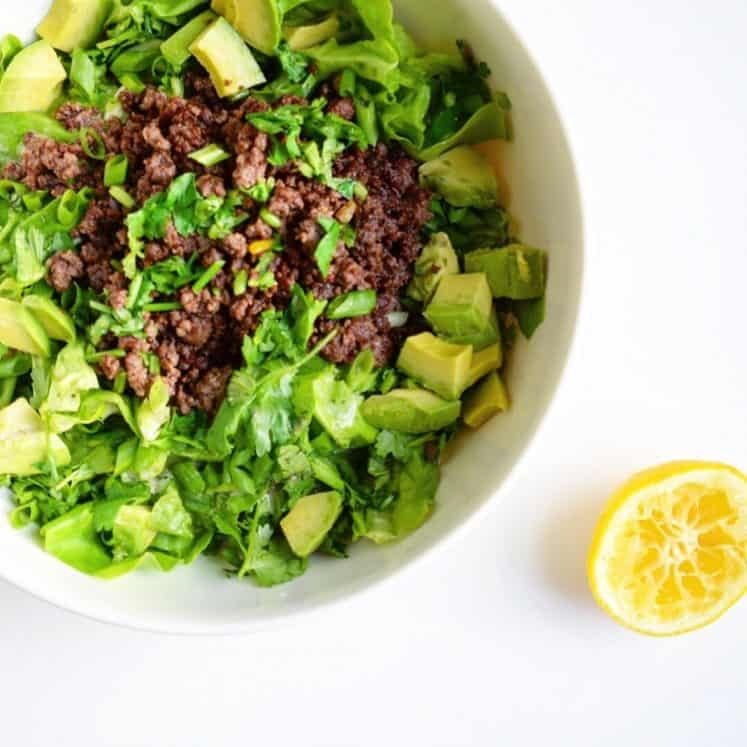 Now let’s make some Whole30 Beef and Broccoli Bowls… hooray for Low Carb Paleo + Keto goodness! 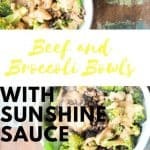 Easy and delicious beef and broccoli with sunshine sauce. 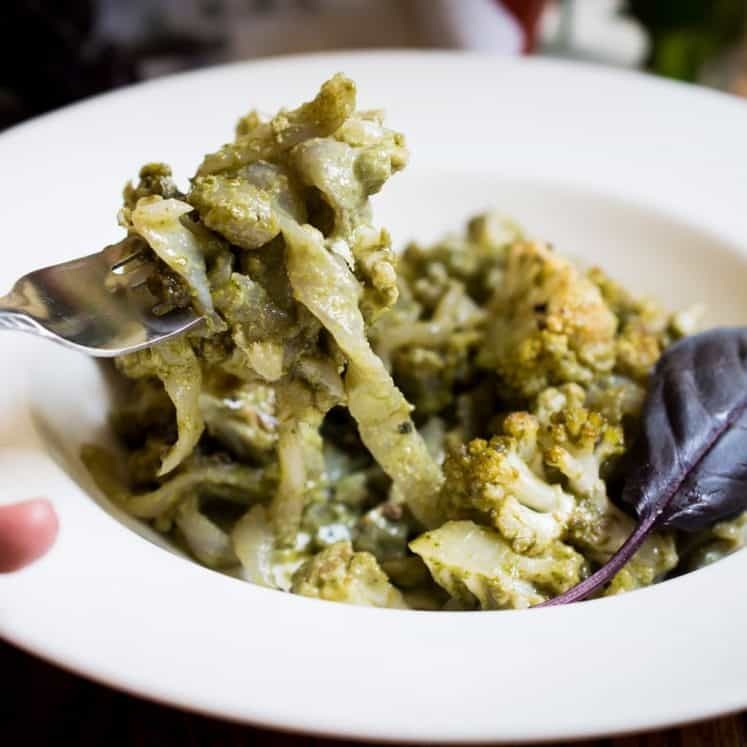 Toss the broccoli with fat and salt on a sheet pan massaging the fat into the florets, them spread them out on the sheet pan so they are not crowded. Put the sheet pan while it pre-heats, once it comes to temperature set a time for 20 minutes. In the meantime heat a large skillet over medium heat, when it comes to temperature add in the fat. While that cook set a small sauce pot over medium heat. Add in the bone broth, salt, aminos and ground ginger, stir until well combined and a dark tan. Remove from the heat and stir in the lemon juice and stir until it’s smooth again. Mix in the green onion. Set aside. To assemble the bowls make a bed of baby spinach in 4 large bowls. Spoon ground beef into each of the bowls. 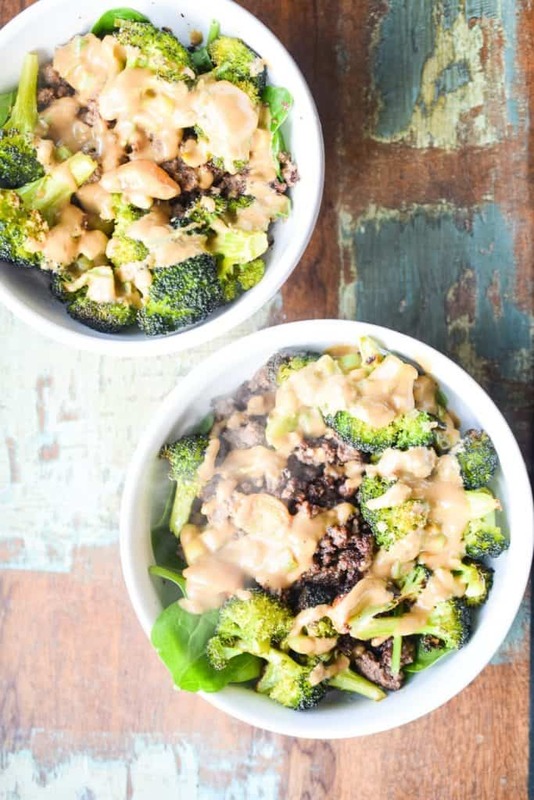 Add in the broccoli florets and spoon the sauce over everything. 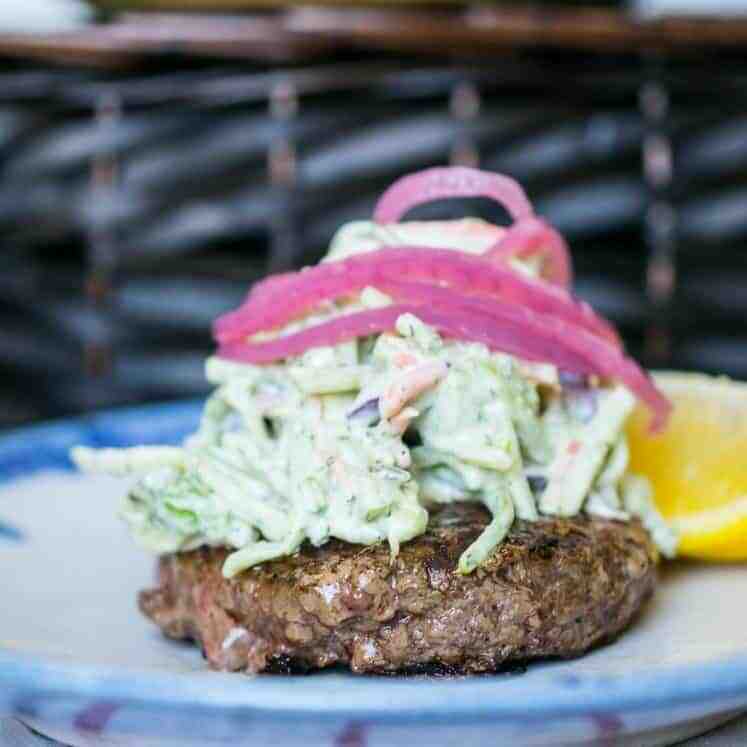 Dig in! Fabulous!! My husband liked it, too!! Wow!!! Yummy 😋… and easy. Going into regular rotation.